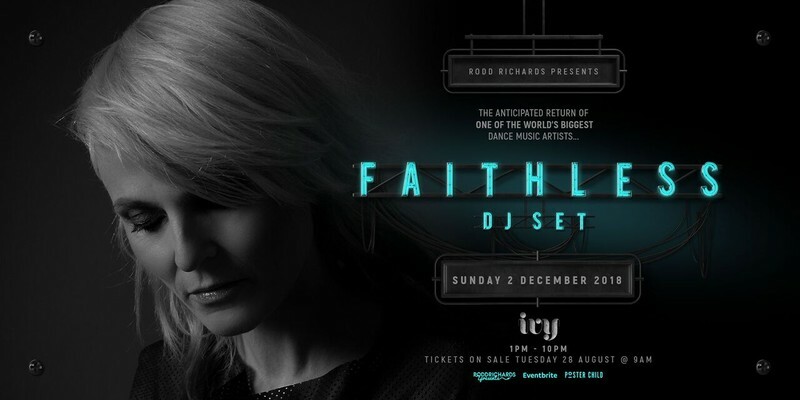 One of the Pioneers of the dance music world: Sister Bliss from Faithless, will be touching down in Sydney this December for the first time in 10 years. Currently playing in some of the world’s hottest clubs, Sister Bliss will excite her Aussie fans with an exclusive Faithless DJ set. As the musical force behind Faithless, world-renowned DJ and record producer Sister Bliss needs no introduction. Together with iconic front-man Maxi Jazz and producer Rollo Armstrong (brother of Dido), she formed Faithless: one of the most successful electronic acts with a career spanning 20 years, including 7 albums (two at number 1) and six top 10 singles. To date, Faithless have sold in excess of 15 million records worldwide and have played live to millions across the world. Inspired by her love for discovering new music, Sister Bliss launched her own label: Junkdog Records. An outlet for signing new music she believes in, Junkdog has been championing the freshest of alternative music. Between her label duties and a busy schedule of upcoming releases, she continues to DJ & play to fans across the world. She also broadcasts a weekly radio show, 'Sister Bliss in Session' currently syndicated to 40 countries globally. 2015 marked the 20-year milestone in Faithless’ illustrious career and to celebrate the band curated a special remix album, ‘Faithless 2.0’, calling on the great and the good of electronic music to remix their catalogue; Avicii, Tiësto, Flux Pavilion, Above & Beyond, Booka Shade, Claptone, High Contrast, Eric Prydz, Purple Disco Machine and Armin Van Buuren. An artistic retrospective and testament to one of the most influential bands of a generation and as revered today as when their journey began two decades ago, 'Faithless 2.0’ was released in October and went straight in at No. 1. Following this success, the band will continue to tour their iconic show, as well as working on brand new material with more to come!